Browsing the Web in 'Private Mode' is not as private as you think. Microsoft has patched the Private Browsing Leakage bug in its newest Edge browser with the latest update. When we talk about Browsers, only one thing which does not strike our mind is Internet Explorer or IE. Even there were some trolls on Internet Explorer (IE) waving over the social medias such as "The best web browser to download other browsers." In fact, it was justified as everyone downloads a new browser with IE in their newly installed Operating System. Due to the continual taunts, Microsoft had scrapped the entire IE and made a new browser called "Edge Browser" (Codenamed "Spartan"). Edge was shipped as the default browser (along with IE) with Windows 10 devices and grabbed the attention of many eye pupils as it included all the features that other mainstream browsers have. In January this year, it was reported that 'InPrivate' mode of the Edge browser is leaking users' web browsing data. 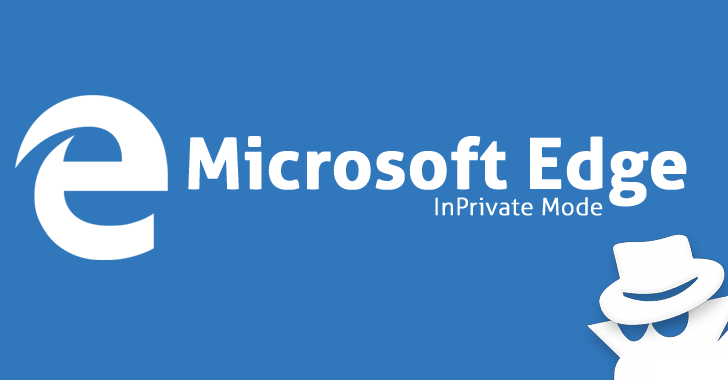 The InPrivate mode is nothing but Incognito or private support for Windows 10. It has been found storing your browsing history, cookies and cache in a WebCache file on the system, which could be found easily. This issue made users feel a repulsive force again and they instantly switched back to other browsers like Firefox or Chrome as the protocols of private browsing mode was correctly followed. The reported vulnerability was fixed which was included in the update KB 3135174. The patch update listed as "Fixed issue with Microsoft Edge browser caching visited URLs while using InPrivate browsing." In another statement made by Microsoft, the company officially claimed that its Edge Browser is much more secure than any other browsers and does not need the support of any armour like EMET anymore. Enhanced Mitigation Experience Toolkit (EMET) is a Windows tool that shields against the execution of software vulnerabilities in Windows Environment. As of now, Windows had buried a security hole, but let's see what's more coming from the same family.